don't be an April Fool, this offer is no joke. 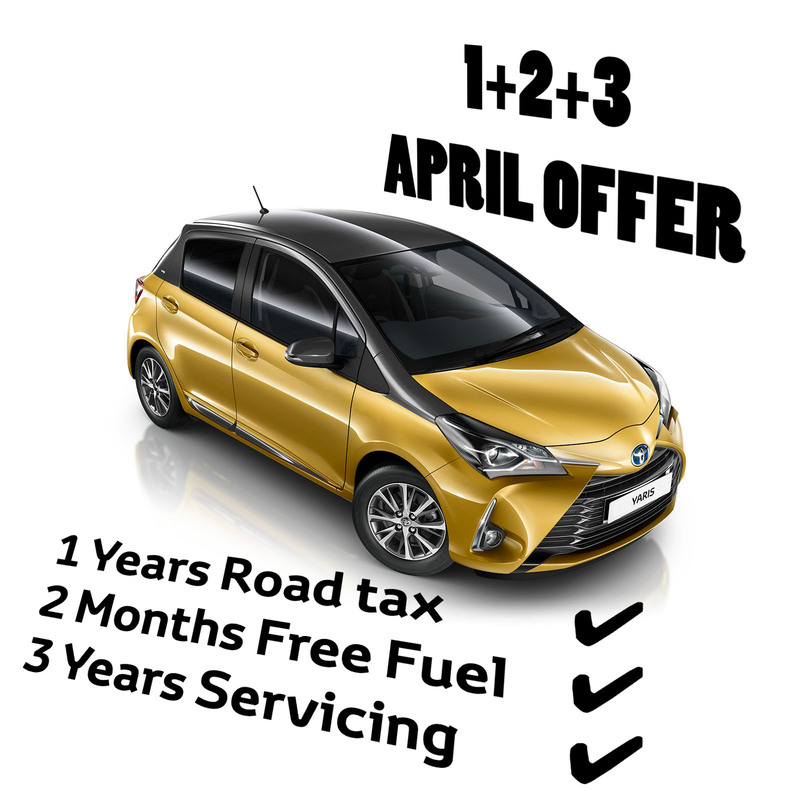 Don't worry if you missed Toyota's 191 offers, we're running an exclusive April offer for all cars ordered and registered this month. 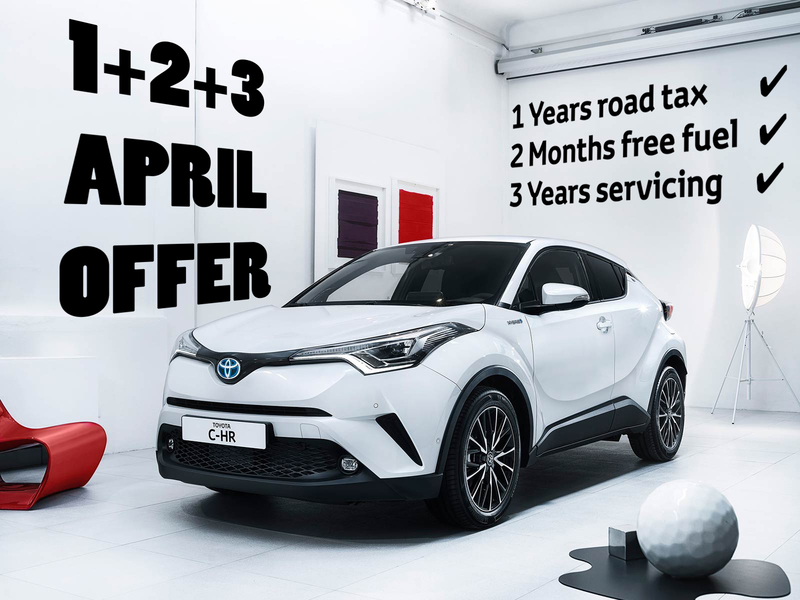 This is an exclusive offer only available at Tadg Riordan Motors Toyota Tallaght. Call Sales 01 4517447 and find your Toyota match, don't forget to mention this ad to avail of the offer. When buying from Tadg Riordan Motors, we have a range of flexible finance options available at very competitive rates. We will help you find a finance package that's right for you and provided you meet bank or finance company requirements and ICB check we can have approval while you wait. We can work your budget to an exact term, so you’re not paying the loan any longer than needed and we can clear your existing loan on trade in by including it in the new finance deal. Fuel cost based on a car using 6 litres per 100km. This ad must be mentioned when ordering a car to avail of the offer. Toyota Finance lending criteria apply. Only cars ordered and registered between the 1st and 30th of April 2019 are eligible for our exclusive offer. Offer valid until April 30th 2019.